Schöppingen, 16 August 2017 – shopware AG has once again lived up to its reputation as a company managed in a visionary way. The renowned business magazine brand eins, in conjunction with the Statista online portal, has given the shop system creator the "Innovator of the Year award for 2017". Research on the companies given the innovation award, offered for the second time in this form, was both thorough and time-consuming. Around 2,000 industry representatives, 250 experts from the Berlin Institute for Innovation and Technology (Institut für Innovation und Technik) and about 20,000 executives and employees on an expert panel were asked to decide on the most innovative companies. 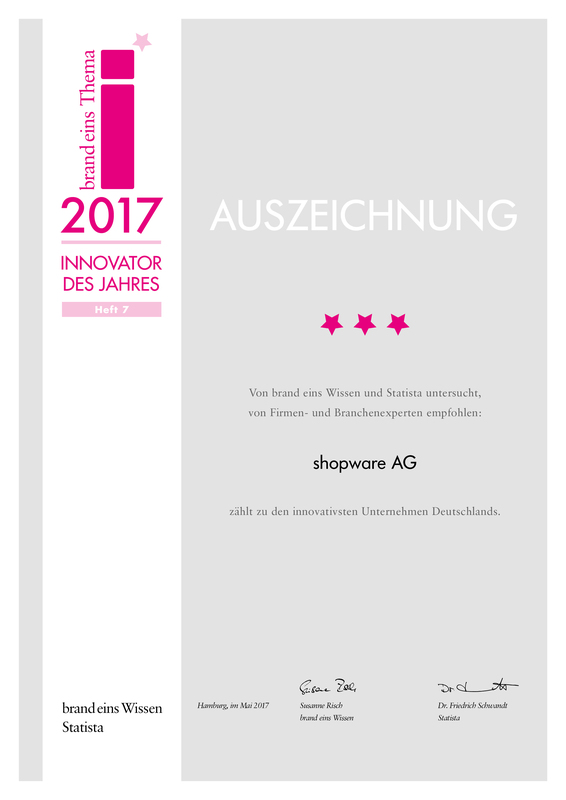 shopware AG was ranked high in three categories. "Innovation is what drives us and we see ourselves as innovation drivers in eCommerce. 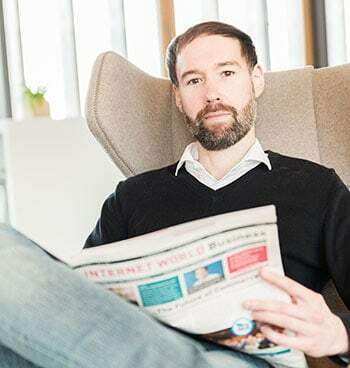 We are very proud of this award which confirms that we're on the right road to revolutionise global trade," says shopware Managing Director Sebastian Hamann cheerfully. In the everyday work of shopware AG, innovation and visionary actions are a matter of course and stem directly from the company motto of always acting openly, authentically and in a visionary way. "Every year we invest 10% of company profits in research. 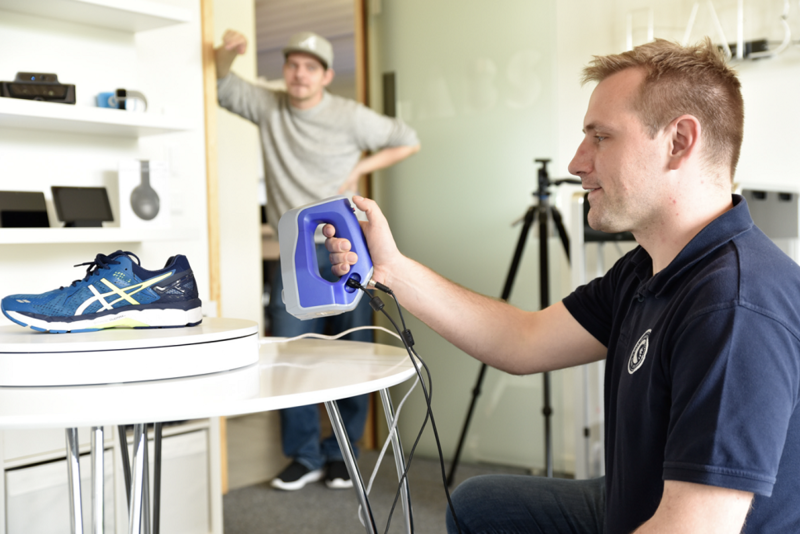 In our futuristic shopware labs we experiment with the technologies of the future, during regular think tanks we exchange ideas with external experts and in software and hardware hackathons our employees can give free rein to their creativity and look at the bigger picture," declares Sebastian Hamann. At present shopware is working on subjects such as artificial intelligence and mass-market 3D product visualisation possibilities. Statista GmbH is well placed to appreciate the commitment of shopware. "shopware AG is one of the pioneers of intelligent products, processes and services. Alongside their special corporate culture, this is what clearly distinguishes shopware from its competitors," is how Dr Friedrich Schwandt, the Managing Director of Statista AG, explained the award for the software company. For those interested, further information on the award can be found at www.brandeins.de, and everything about shopware AG at de.shopware.com.